Back in my more carefree years, I was looking to get my writing into gear. Plenty of ideas, but idleness and writing pretentious songs on my guitar tended to come first. Hearing of authors pumping out thousand of words a day whacked my meagre efforts with the stark thick stick of reality. I couldn’t be a writer unless I was churning out similar wodges of words. Glumness, ennui, and more pretentious songs on the guitar ensued. Somewhere along the way, I came upon the advice to set a timer and just write for half an hour. “Free-writing”. 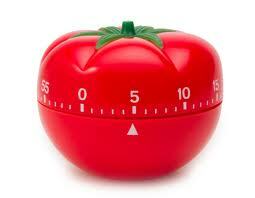 “The Pomodoro Technique”. “Psychological Flow”. Or just plain knuckling down and focussing for once, call it what you will. It was surprising what came out of these sessions. Sometimes spontaneous gems, other times floundering rubbish. But usually there was at least one useful idea or turn of phrase. Bottom line: Increased output. Filling notepads rather than just buying for the vicarious thrill of stationery purchases. And once started, more often than not another few pages might be pushed out. Yay! Then procrastination and lethargy changed their tactics. The half-hour session became a task requiring a day’s psyching up to face. Where to find time to squeeze it into a busy day of doing not very much in particular? Momentum might maintain for a day or two, but inevitably more and more cajoling myself to start the stopwatch meant the approach petered out. Pretentious songs on the guitar again, largely in D minor. The timed writing approach required self-discipline. Half an hour became too easily dismissed to fit into a “busy” day. And it did lack the charm of sitting down to jot well-prepared thoughts as the mood took, every couple of aeons when such planets aligned. Years later in one of her writing workshops, my good friend Marlish gave the suggestion of five minute free-writing sessions. It was a self-kickingly simple improvement. Who could argue against fitting in just five minutes? Fewer excuses to defer, less psyching. But how much can you actually get done in five minutes? Yes, it’s illegible scrawl, but hey, it’s a first draft where just getting stuff down is the goal. Maybe 150 – 200 words is typical, depending on your cramp potential. And being two thirds of the way of a page, you might as well finish it. True, there’s a good chance you’ll commit five minutes of aimless nonsense. But it’s only five minutes of aimless nonsense, hardly precious life seconds. The important thing is to start, something a significant number of incalcitrant horses are usually required to drag me to. The most valuable thing is that it’s rare nothing of value emerges. Just one good sentence, phrase or idea to pop up is one thing more than you had five minutes ago. It’s also a good way of kicking a dead end back into life. Just leap into it like Red Adair tackling a oil well blaze and see what happens. A significant and pleasantly surprising new direction can revive what was a comatose piece. And a story that surprises its writer stands a good chance of surprising the reader. Opinions vary whether to stop mid-sentence as time runs out, so as to give yourself an entry point to the next day’s burst and urge to finish. I prefer to carry on and exhaust the momentum, but with a note of next action to entice tomorrow’s effort. 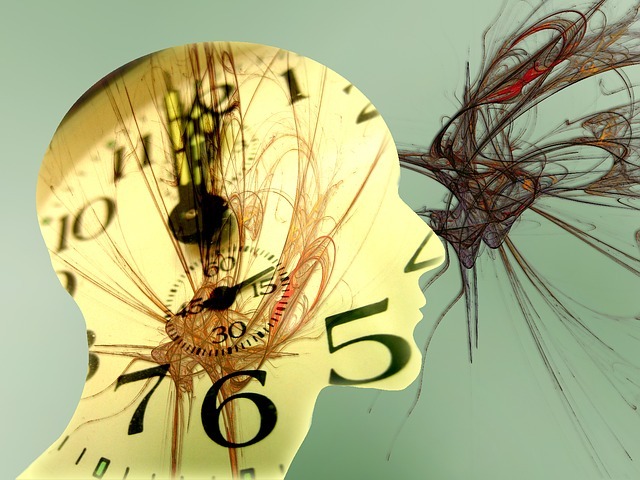 Of course, procrastination and lethargy will dictate that even five minutes is too hard. Leaving it till the last five minutes before bed makes it all too easy to say “tomorrow”. Even with the simplest of techniques, some modicum of self-discipline is required. From my experience, the five-minute burst is one of the most effective ways to up output and kickstart momentum. True, it can be a torturous five minutes of wrenching angst, but hey, so’s plucking your nose hairs with tweezers. Apparently. This entry was posted in Writing, Writing Productivity, Writing Tips and tagged creativity, free writing, pomodoro, productivity, Time management, writing, writing tips. Bookmark the permalink.